"Pure color! Everything must be sacrificed to it," said Gauguin. OFF ISLAND presents two parallel stories about artists who cheat. Paul and Mette describe their marriage in 1903; Pete and Molly describe their daily lives in contemporary coastal Maine. 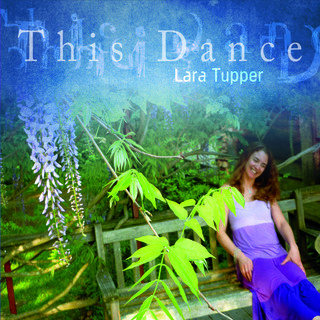 This DANCE, Lara's first full-length album, a tribute to her favorite jazz and pop songs. FROM PROJECT AUTHOR, 3/25/12: "This is the blog chronicling my project to read and review books by authors I've never heard of before...[Dear Lara,]...I read A Thousand and One Nights some time ago, and I just decided to write to you to tell you how much I enjoyed it. You combine the elements of a guilty pleasure novel with the journey of a young woman growing up very well. I hope to read more from you!" "Sometimes a novel's premise is so out there that it perversely manages to feel like real life, with all its stranger-than-fiction twists and turns. Such is the case with Lara Tupper's debut, A Thousand and One Nights, an alternately hilarious and poignant look at the unsettled state of one young woman trying to make it outside the socially sanctioned college-office-marriage trajectory. Our heroine, a plucky (but not annoyingly so) 22-year-old named Karla, drifts first into a job as an entertainer on the MS Sound of Music cruise ship, then into an affair with a shuffleboard supervisor/nightly musical performer named Jack. When Jack suggests extending their fling to an on-land professional partnership, they quickly embark on a surreal showbiz circuit of hotel bars in such far-flung locales as China and Dubai. Along the way, Karla begins to question her adventure-for-adventure's-sake personal ethos, as well as suffer from the toll exacted by faking enthusiasm for a living. 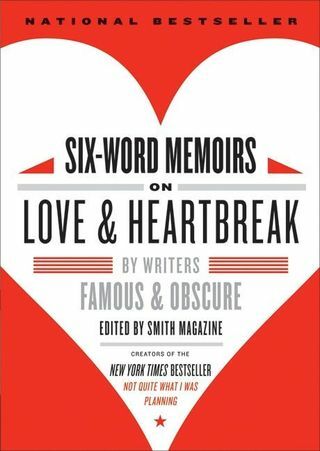 Both an off-kilter take on the conventional coming-of-age tale and a sly commentary on the underbelly of celebrity culture, this truly original book is basically uncategorizable—blissfully so." "The Caribbean is only one stop on a long journey for the heroine of Lara Tupper's skilled debut. It's 1995, and 22-year-old Karla can't imagine anything better than her new job as a cruise ship singer. Yes, she's surrounded by fakery, and shipboard life can get monotonous, but a cheap thrill is still a thrill. Soon Karla meets Jack, a fellow entertainer, and the two team up professionally and romantically. As singing duo Northern Lights, Karla and Jack leave the ship to play gigs in the United Arab Emirates then end up at a hotel in Shanghai, trying to pull themselves from the rut into which they've fallen. Karla's back hurts nightly from wearing high heels, and she finds herself unable to connect to the world. She drinks too much, and Jack drinks even more. Finally, Karla makes her way toward a healthier, if less glamorous, life. "The mansion of show business contains numerous backstairs and broom cupboards, and Karla, the young heroine of this debut novel, finds herself consigned to one of them when she lands a job right out of college as an entertainer on a cruise ship. Anticipating adventure and romance, she soon realizes that what she has become is a camp counselor with eye makeup. When her shipboard boyfriend, a British guitarist named Jack, suggests that they strike out on their own as a globetrotting lounge duo, she jumps at the chance.... It is...shrewdly observed and redolent of inside information about life behind the door marked 'Private.'" Cited as "NEW IN PAPERBACK: Karla and Jack are a romantic twosome aboard the MS Sound of Music, where they both are musicians. They jump ship and set out for careers as itinerant entertainers, but four years later, Karla is beset by ennui as she looks at her cliched professional life and her slowly unraveling relationship with Jack. 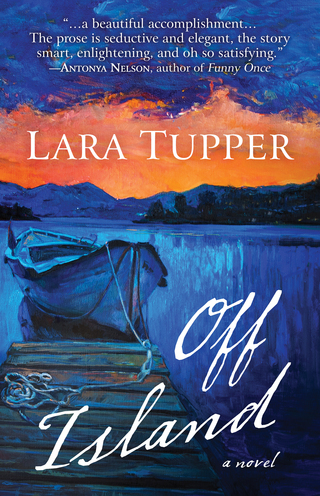 Lara Tupper will talk about her experiences and her novel during a visit home in Boothbay Harbor, Maine. "Lara Tupper...artfully infused her debut novel with lounge singing experiences, duo misadventures and tales of exotic locales. And seriously, she’s not afraid to admit her Manilow love! In A Thousand and One Nights, Tupper takes the reader on an adventure with Karla a 20-something girl trying to figure out her life while faking the glamorous lifestyle of a lounge singer, which turns out not to be so glamorous. Karla soon finds herself in a relationship and lounge-singing duo with Jack and together they travel to foreign locations. I’ve been on a couple cruises myself, and the behind the scenes look at shipboard life had me clawing for a Kleenex from snorting with laughter. Tupper’s literary ability is to use humor and sadness to tell a poignant tale of a doomed relationship while still remembering to wow you with little details along the way. You don’t have to be a lounge singer or even an entertainer to relate to the characters in A Thousand and One Nights. I found little pieces of myself effortlessly written between the lines. If you’ve ever worn a fake smile, or been in a relationship where you depend most on the person you’re growing apart from, you too might find yourself entrenched in Tupper’s book. Recently, I had a chance to talk to Lara Tupper about her novel, pop culture, travels and her obsession with Barry Manilow…"
Everyone who picks up a copy of Lara Tupper’s first novel 'A Thou-sand and One Nights,' will be booking passage on one exotic journey – for 1,001 nights. The work is an excellent passport to faraway lands, from England to Abu Dhabi to China to New York City as well as a window into the complexities of the relationship be-tween Karla and Jack. The pair meets on a cruise ship, “The Sound of Music,” one in a fleet of vessels that all bear the name of a Rodgers and Hammer-stein musical, and become the sing-ing duo, Northern Lights. Karla, a 22-year-old Maine girl with dreams of being an enter-tainer, and Jack, of York, England, seven years older, [and, sometimes, it has to be said, a bit of a wanker,] fall in love. With Jack on guitar and Karla on tambourine, the pair entertain pa-trons of The Blue Bar and the Sky Bar singing tunes from Joni Mitchell, Simon and Garfunkel and Carole King to Celine Dion, Abba and Lionel Ritchie. Tupper’s characters struggle to adapt to one another and the unfa-miliar. On the way, they discover what is real and what is not against a backdrop of smoky bars and drunken audiences of varying ages - and attention spans.